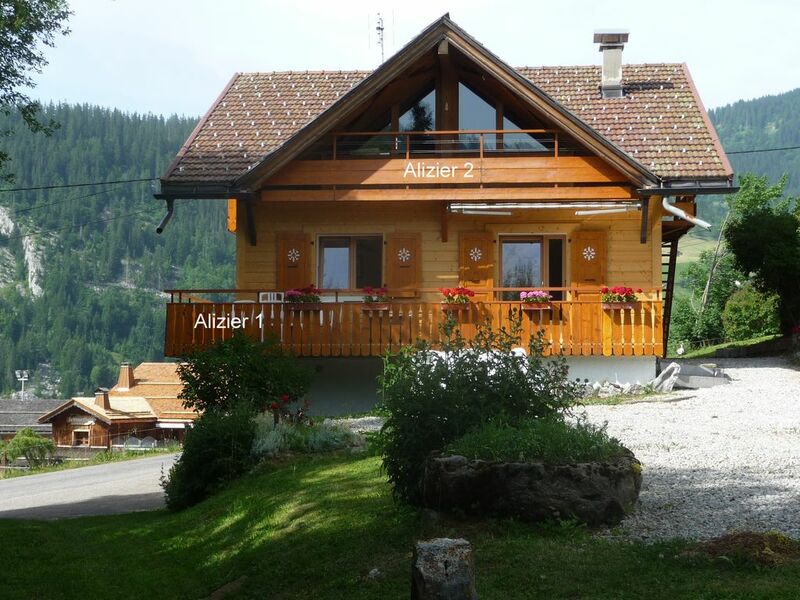 (Text automatically translated) Apartment situated on the edge because of the main ski slope. You can take the cable car gives you access to the town center without using your car. (Free fall) In the summer, you can enjoy the 1000 m2 of land or find games (table tennis, swing, slide) for your children. A barbecue and sun loungers are available. It’s a comfortable spacious chalet , very well equipped, and even came with a pot of delicious homemade jam from M Pollet Villard! And even with thin snow, we could easily walk on and off the piste in about 2 minutes. We loved La Clusaz,a very relaxed and family-friendly town, and we had some amazing skiing in isolated valleys. What a beautiful place ! Super chalet parfaitement situé sur les pistes ! Wir haben in Frankreich in den letzten Jahren bereits mehrere Ferienwohnungen gebucht, aber Alizier 1 ist mit Abstand die schönste gewesen: großartiger Ausblick auf Berge und La Clusaz, sehr große und helle Wohnung, Balkon mit Sonne ganztags, große Garage, kurze Anreise zu den Tour-Bergwertungen 2018. Beim nächsten Frankreich-Urlaub wird es wieder Alizier1!